“Coming Home” kicked off J. Michael Straczynski’s critically acclaimed Spider-Man run, pitting the wallcrawler against his toughest enemy yet. 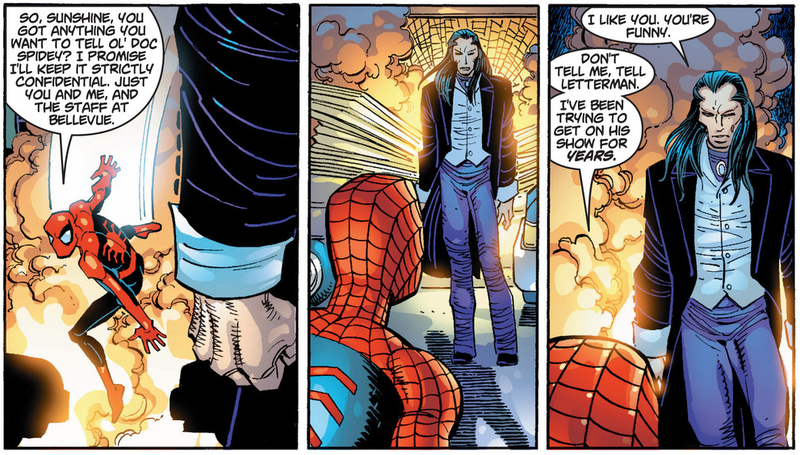 Morlun is an immortal being who feeds on totemistic forces. He targets Spidey not too long after the hero meets Ezekiel; a man in his 50s who has the exact same powers as him, and reveals that there may be more to Peter’s powers – in a mystical sense – than just that radioactive spider which bit him so many years previously. The battle between Spider-Man and Morlun is brutal and bloody, and it almost seems like he won’t make it at one point. It also has an extremely shocking ending which would shake up the status quo of Peter Parker and Aunt May’s relationship in a huge way for years to come.